Liverpool defender Andrew Robertson is close to agreeing a new 5-year contract with the club. The 24-year-old Scotland international is being rewarded with a new and improved deal as a result of his outstanding performances. Signed from Hull City in 2017 for a bargain £8million, Robertson is, without a doubt, one of the club’s best players. He’s a popular member of Jürgen Klopp’s squad and a favourite of the Anfield faithful. 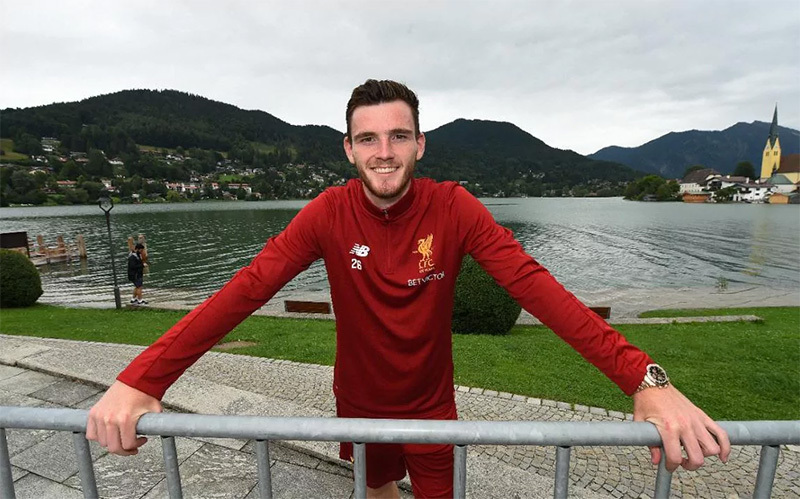 Once the finer details are ironed out, Robertson’s new deal will run until the end of the 2023-24 season. Liverpool have already secured Roberto Firmino, Joe Gomez, Sadio Mané and Mo Salah on new deals so it was only a matter of time before Robertson was rewarded. Trent Alexander-Arnold (20) is expected to be next in line for a new deal.